For long, Kochi has been synonymous with Kerala’s major port, backwaters and the export end of the region’s spice trade. Sitting in town you wouldn’t imagine hilly terrain in the distance, unless you notice the stuff of Kochi’s historically famous commerce as ` hill produce’ and venture to find out where it’s coming from. One aspect of Kerala’s uniqueness, little appreciated amid all the consumerist excess being stuffed in, is that it is a narrow strip of land sandwiched between the sea and a spine of hills, about 500 km long. Even at the state’s widest part, in a couple of hours of travel, you can be at modest elevation from sea level and vice versa. In tapering portions like Thiruvananthapuram district, the hills are still closer. The high ranges don’t manifest suddenly. Between the lower lands with their backwaters, and the highlands, there is the portion signifying transition. Tucked in the south east part of Ernakulam district (where Kochi is), Neendapara in Kavalangad panchayat is part of the geography signaling the higher hills of Idukki district beyond. In Kerala, the predominantly hilly districts of Idukki and Wayanad are known for their distance runners. “ Neendapara – that’s where I grew up,’’ Paul P.I said at his house in Kundanoor in the Kochi suburb of Maradu. Our appointment had been fixed closer to noon for the retired Kochi port officer had a long run that morning. The directions to his house were precise, distances conveyed accurately as only runners do. Still I lost my way. How can I screw up despite such clear directions? Maybe my running days are over and I no more see like a runner? – I thought; wrong Mr Paul before me, listening to the description of person I sought. “ Sure I am Paul but Paul who runs, he stays over there,’’ the helpful man said. On the steps leading to the house I next went to, was a pair of Vibram Five Fingers. This is it – I knew. Paul was born one of six children; his father, a contractor, died 30 years ago in a road accident. Neendapara is a hilly place. Paul’s family owned land. Tending it was a team of agricultural workers. Given that the workers did their daily work at scattered locations on the land, Paul remembers walking up and down the terrain to give them food. Those were the late 1950s. Road connectivity in the state wasn’t as much as it is today and Neendapara tucked away from better known Kochi and on the approach to the hills of Idukki, wasn’t exactly priority for public infrastructure. 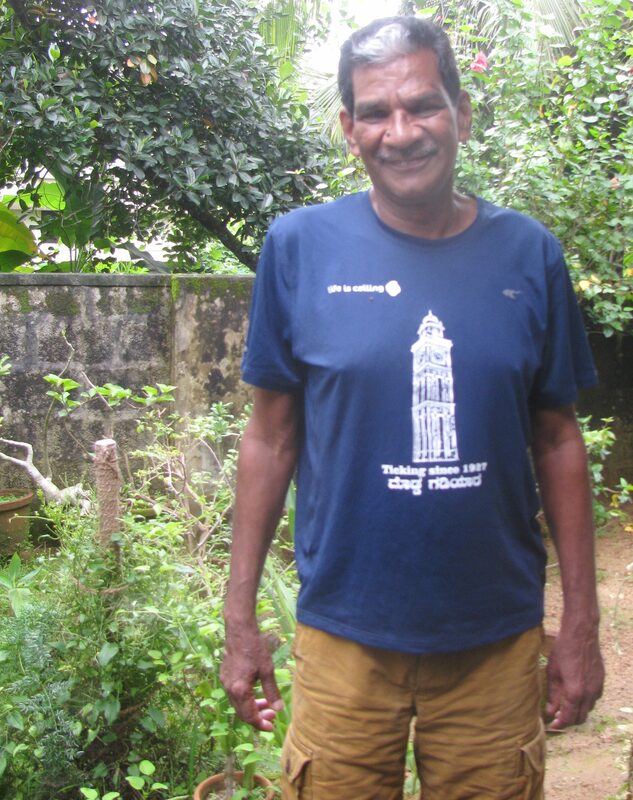 Paul attended school in Neriyamangalam eight kilometers away. He recalled that his tenth standard exams were a further 12 km away. School was his introduction to athletics; he used to run in 100m and 200m races. For pre-degree, Paul turned to Nirmala College in Muvattupuzha, a major town in the region. His father wanted Paul to be an engineer. Unfortunately, the youngster failed to clear one of the subjects in college. That failure hit him hard. He desperately wanted to fulfil his father’s wish. “ I joined Thyagaraja Polytechnic near Thrissur. It was the only option available to me to stay close to the engineering line. At the polytechnic, I studied well,’’ he said. Alongside he also kept his interest in sports alive. He used to participate in 5000m and represented the institution at inter-polytechnic sports meets. An active person, he also played hockey, basketball and that game once very popular in Kerala and since near vanished – ball badminton. Probably because Indian polytechnics have always been a poor cousin to mainstream colleges with their academic halo, there was none to train him for the 5000m. He had no coach. He figured out his own path. “ I was crazy about hockey and by my third year was captain of the polytechnic team,’’ Paul said. Before hockey sessions, he would run several rounds of the playing field to keep both interests – hockey and running – happy. After securing his diploma from the polytechnic, he joined Cochin Port Trust (CPT) as a tracer, precursor to being draftsman. Alongside, he also enrolled for the AMIE course in engineering offered by the Institution of Engineers (India). He passed this program, specializing in civil engineering. Given his new qualification, Paul moved to being a junior engineer at CPT. However his further promotion was delayed and stuck in litigation. For seventeen years he stayed a junior engineer. Eventually he won the case and was promoted with all arrears paid. “ I retired as superintending engineer,’’ Paul said. Willingdon Island is the largest artificial island in India. Envisioned by Sir Robert Bristow, it is home to Kochi’s port and naval base. For many years, when he was with CPT, Paul stayed on Willingdon Island. He used to run every morning on the island. In 1999, he moved to Kundanoor on the mainland and took to running up and down the nearby bridge. Six years later, in 2005, he had a temporary setback. He suffered a road accident that left him with multiple fractures on one leg. Surgeries were needed and for a year till the rod that had been inserted into the shin was removed, he had to refrain from hard physical activity. Once the rod was taken off, he slowly got back to running. The legacy of that accident is still visible on Paul’s leg. In 2014, the Cochin Corporation organized the Cochin International Half Marathon. Paul was the only CPT employee running the half marathon besides the CPT Chairman. Paul completed the run in 2:35. Word got around of the port employee who completed a half marathon. Willingdon Island houses a whole port ecosystem. Not far from Paul’s office was the office of the Customs. 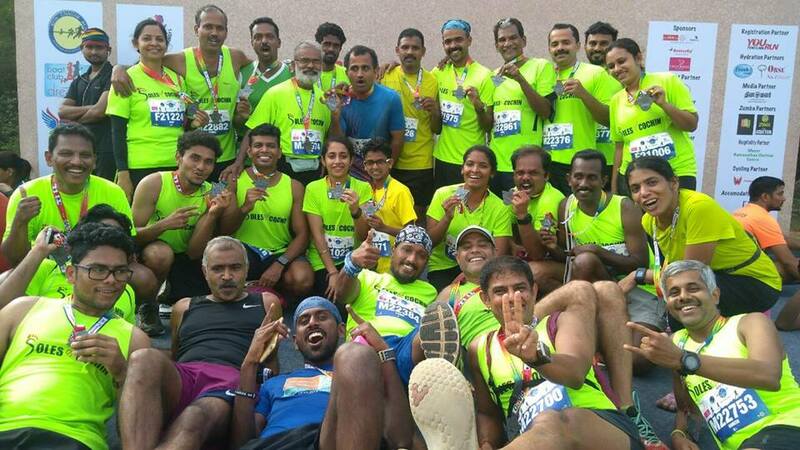 Customs officers, Vijayan Pillai and Naushad Asanar were regular runners, who were also members of Soles of Cochin. They dropped by at Paul’s office to get him into Soles and enroll him for the first edition of the Spice Coast Marathon organized by the group. Paul enrolled for the marathon almost immediately. Naushad remembered that instance well. “ He enrolled offline. So I had to meet him later and collect the fee,’’ Naushad said. In November 2014, Paul ran the full marathon of the event, completing the course in 6:11. “ That was the first time I knew of such distances in running and distance runners who train dedicatedly to run the distance,’’ he said. Despite Kerala’s known strength in athletics at the all India level, Paul’s comment should not surprise. A peculiar aspect of the state’s athletics is the wall that exists between elite athletics and amateur pursuits, which are recreational in nature. Movements around the latter genre – like Soles of Cochin – are happening with considerable lag in Kerala compared to the pace at which the state earned a name in elite athletics. In December 2014, on turning 60 years of age, Paul retired from service. In July 2015, he formally joined Soles of Cochin where he would subsequently become popular as “ Paulettan,’’ `ettan’ being a quickly said version of the Malayalam word `chettan’ meaning elder brother. Upon joining Soles, Paul’s running became more systematic and regular. “ I started running at least 50 km every week,’’ he said. Paul described a typical week with Soles. Sunday would be a run of 8-10 km, from the Kadavanthara stadium to the Kaloor stadium and back. On Tuesday, they would run 10-12 km from Edappally to the Cochin University of Science & Technology (CUSAT) via Thrikkakkara. Thursday featured hill running; the runners would proceed from CUSAT to the HMT factory and onward to the local medical college before returning to CUSAT. “ That would be around 10-12 km,’’ he said. On Saturday, the runners would start at Edappally and proceed sometimes to Thrippunithura, logging a distance of 21-25 km. “ With all this, I now run 60-70 km every week,’’ Paul said. According to Naushad, Paul was initially reluctant to join a runners’ group. He shied away claiming he didn’t run much. Invited to come along for a Sunday run, he cited his Sunday appointment with the church for excuse. Then he turned up for a run but wasn’t seen thereafter. “ Once he returned, he has been a regular at the group’s runs. Not just that, Paul is a very good organizer. There was a run we planned at Moolamattom and Paul took care of it completely by himself. Almost 100 people enrolled for that run, of which, nearly 80 turned up to run,’’ Naushad said. Shortly after he joined Soles, Paul ran the full marathon at Hyderabad finishing it in 5:35, a significant reduction in timing from the 6:11 of the 2014 Spice Coast Marathon. Then, “ Paulettan’’ began catching up on lost time. In 2016 he ran over a dozen full marathons, including an ultra. January 2016 was especially hectic. On January 3 he ran a full marathon in Salem. A fortnight later, he ran the full marathon at the Standard Chartered Mumbai Marathon (SCMM). Five days later, he was running the full marathon in Dubai and on January 31, he was in Chennai running the Wipro Chennai Marathon. Paul ran in the 60-65 years age category. He wasn’t getting any podium finishes; it was purely the love to run that kept him going from one event to the next. As of July 2017, the time we met for a chat, the retired engineer had run 19 full marathons since his first one in November 2014. He had also finished 24 half marathons. 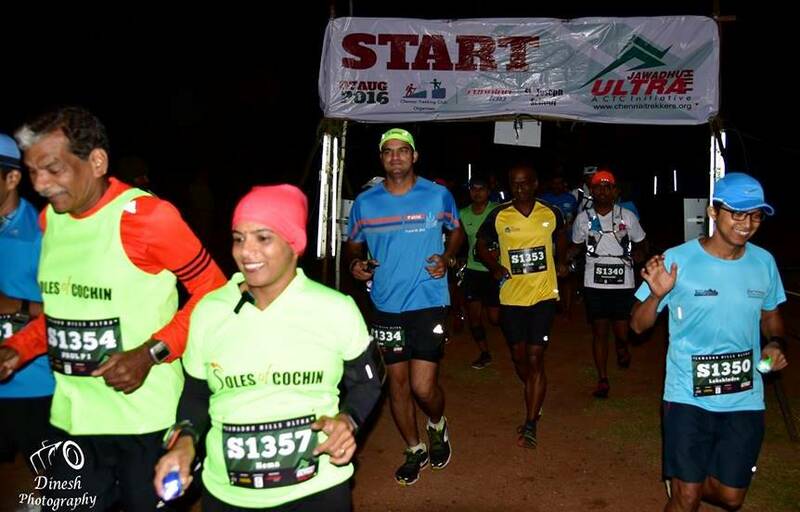 Of the 19 full marathons, three were ultramarathons – the Chennai Trail Ultra (50 km), the Javadhu Hills Ultra (75 km) and the Munnar Ultra (72 km). He said he owes much to the guidance he received from Ramesh Kanjilimadhom, among Kochi’s best known amateur runners and a founder member of Soles. 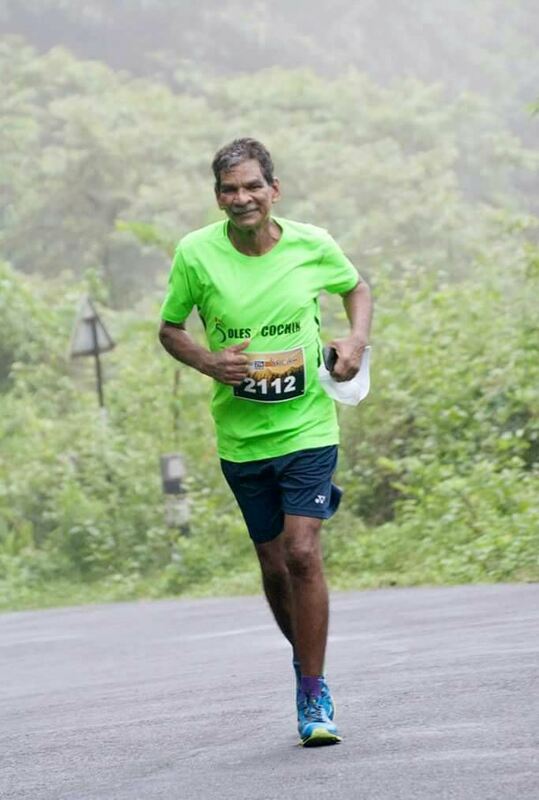 In December 2016, Paul found mention in local newspapers for running 62 miles on his 62nd birthday, from the CPT office on Willingdon Island in Kochi to Neendapara, where he was born. “ It was fully backed by Soles of Cochin. There was a support car and other runners to keep me company,’’ he said. Running also gave him good friends. He remembered Hema Menon, at the time of writing this article, working in Thiruvananthapuram. 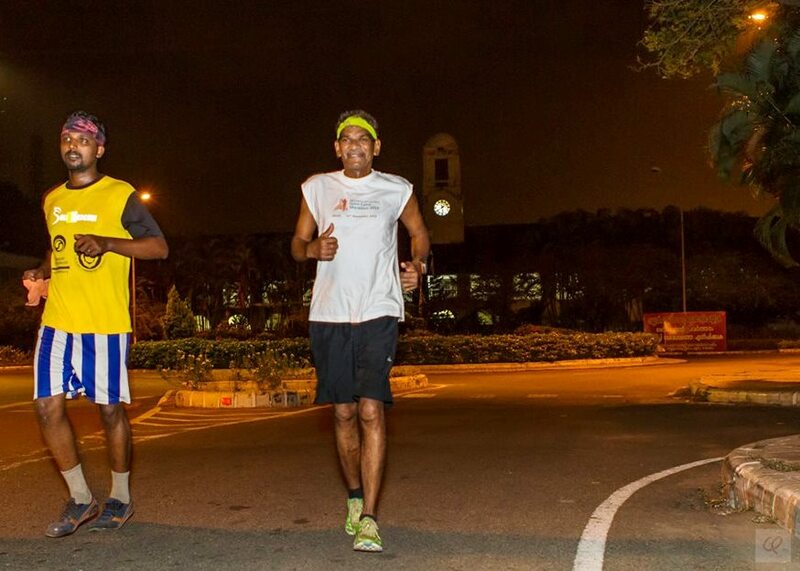 Of the 19 full marathons he had run, 16 were with Hema, he said. Paul also ran `Night Owl’ a 12 hour-running event from 6PM to 6AM, organized by Soles. Looking ahead, he was planning to run the 100 km race at Javadhu in August 2017 and the 110 km race at the Malanadu Ultra in Chikkamagaluru. There is also the Vagamon Trail Ultra, which Soles is organizing and hopefully, a shot at Globeracer’s ` Run the Rann’ in February 2018. He had also registered for full marathons at Hyderabad, Bengaluru, Goa and Chennai. Such a schedule naturally brings up the question of injury. 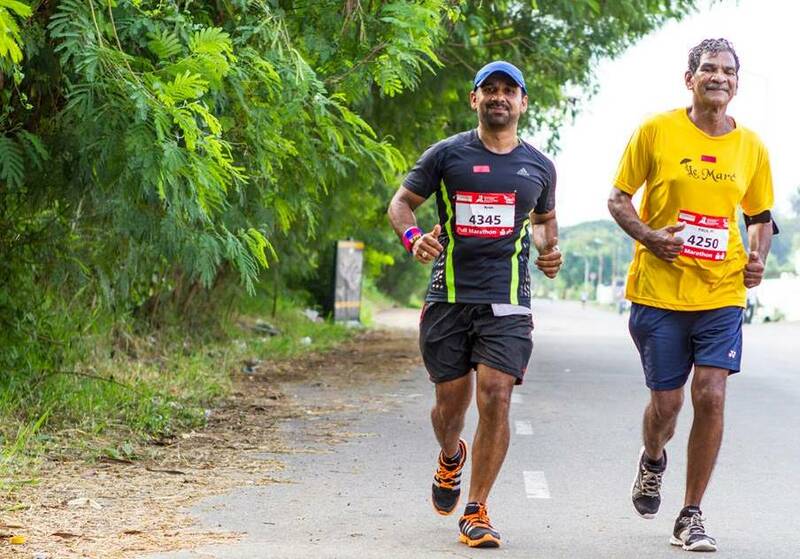 Paul has so far been free of any major injury sustained through running, except for a sprain during a half marathon in Coimbatore, which he got over in two months. However, cure for that was not easy. Exercise didn’t work. Disappointment gathered as others ran and he couldn’t. Then he approached a kalari (kalaripayattu is Kerala’s traditional martial art) center in Thrippunithura. Given they deal with martial arts for which one’s body must be kept adequately flexible, kalari centers have long had a local reputation in healing. “ They gave me an oil massage for one hundred rupees and asked me to run the next day and report back. I had no problems thereafter,’’ Paul said, adding, many runners still find his story hard to believe. “ He is not like the rest of us. He is quite a hardy person,’’ Naushad said. Paul is also into yoga. “ At Soles, we have a runner and yoga teacher in Rajappan. Once a week he takes classes for us. I do yoga thrice a week,’’ Paul said. He follows no special diet but makes sure to stretch after every run. “ I don’t remember when I last saw the doctor,’’ he said encapsulating what running had done for him. 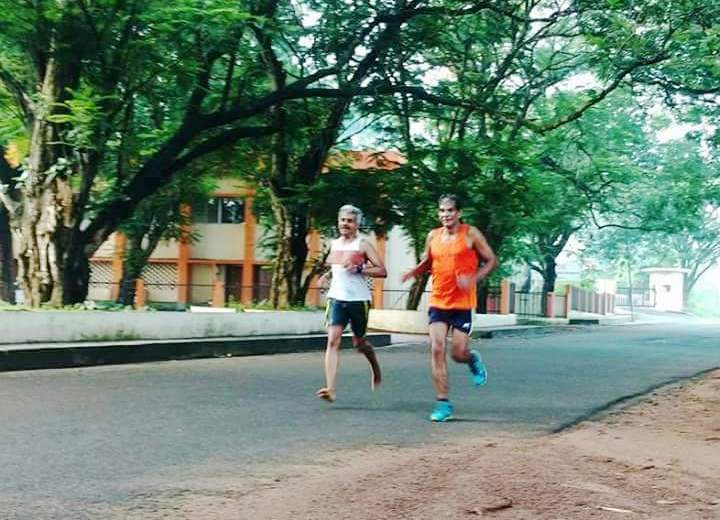 According to Paul, he, Rajappan and Mathew Mapram (based in the US but reaching Kerala every year to run with his friends) are a prominent trio of senior citizens into running at Soles. Paul’s personal best in the full marathon was 4:56, set at the 2016 Run of Raramuri Tribe (TROT) in Bengaluru. 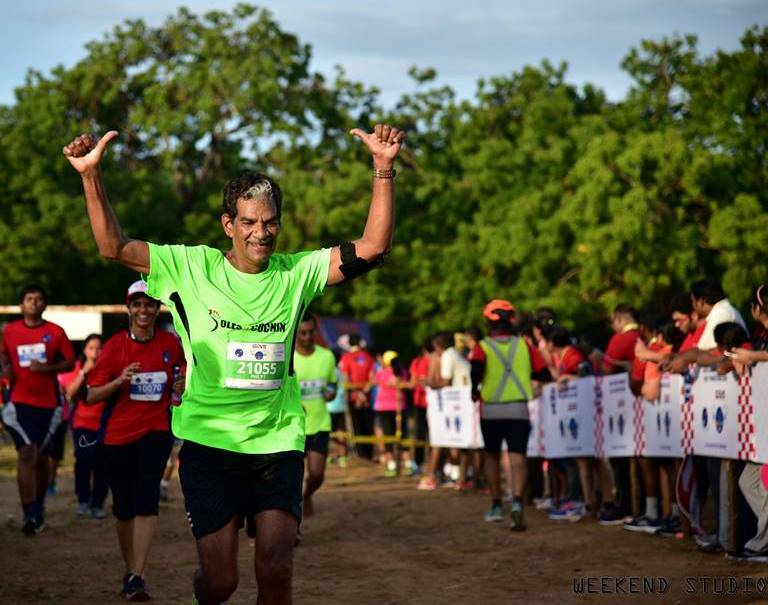 Along the way, a few podium finishes have been there – there was a second place in his age category at a half marathon in Mysore; there was a third in a 10 km-race in Mangaluru. But he doesn’t care about winning. Podium is not why he came into running. He likes to run; period. Paul has three children; they live in Kochi and Bengaluru. 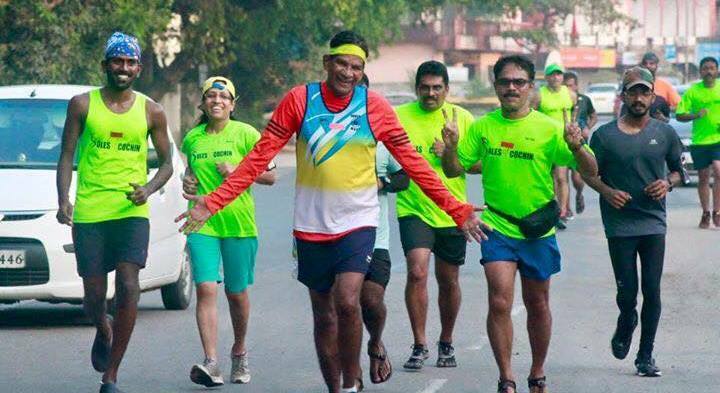 Running the marathon in Bengaluru is a fine way of visiting his children settled there. However, as yet, he is the sole runner in his family. Initially they were opposed to his new found craze for running. Slowly the opposition faded and the family has since got used to the avid runner in Paul. In the way they initially reacted to running, his family wasn’t alone. It probably reflected a larger streak in Kerala, where doing something for no particular reason or achievement finds few fans. “ In the early days, people at large used to be critical of the amateur running scene. It was so till media made a difference,’’ Paul said. That 62 mile-run on his 62nd birthday was among things helping link people to runners. “ As news of the run was already out, I was offered cake by local people at several places I passed through,’’ he said. Asked why he was running, he would say that it was to spread awareness on distance running and to highlight the fact that age is just a number. That said, he conceded there is an unfortunate gap between serious athletics and the general population in Kerala. The state’s achievements in athletics hasn’t inspired a corresponding popular interest in the field that sees amateurs trying their hand at running, or those who do, being appreciated for the effort. Outfits like Soles of Cochin offer hope. Can you tell us something about the recent climbs you did in South Africa? We mostly climbed in areas that have been developed over the past years. My last visit was four years ago and a lot of development has happened since. We also brushed some boulders and did a couple of first ascents. Other than that I also climbed some classics which I had not done before, in already established areas. You are one of the most experienced athletes on the competitive climbing circuit, including the IFSC World Cup and World Championship. What has kept you going in that circuit for so long? What do you like about it? I always enjoyed competing- the excitement, thrill and nervousness are very special. I like the mental challenge of competitions as well as traveling the world with the Austrian climbing team and fellow competitors from all around the world. 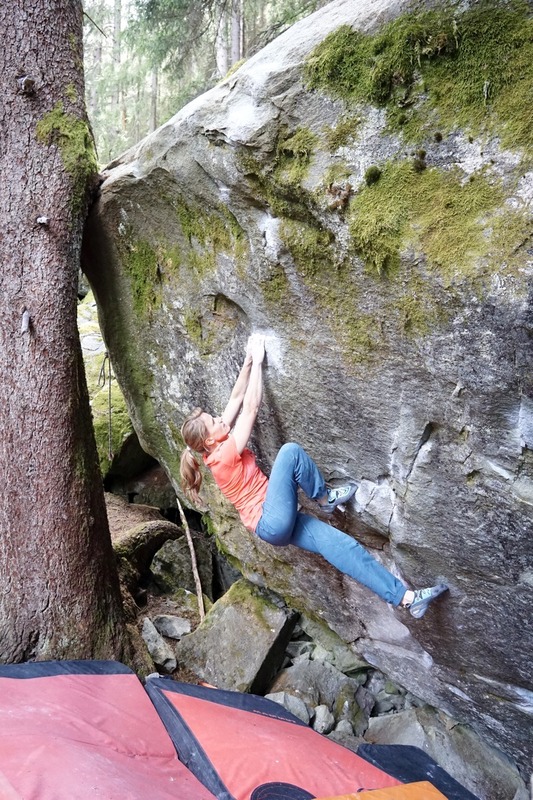 Within the three main disciplines of climbing (lead, speed and bouldering), why did bouldering become your favorite? What attracted you to bouldering? As a teenager I used to boulder, mostly outside. I was immediately quite successful in this discipline. But I also climbed at lead competitions and even did a few speed competitions when I was younger. 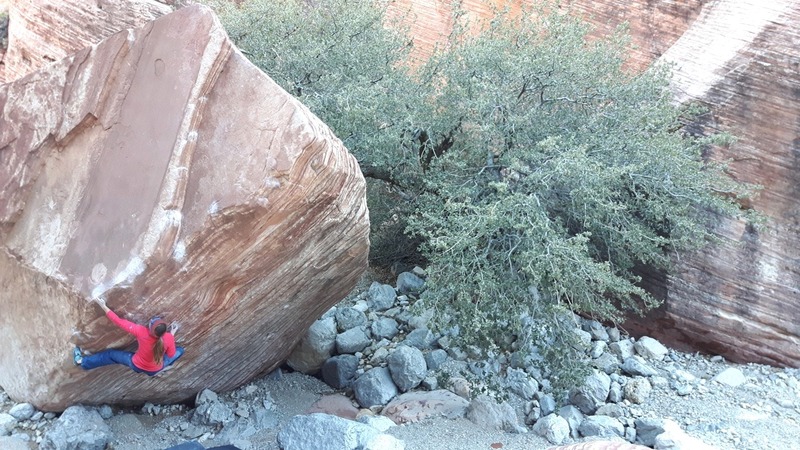 In my opinion bouldering is much more creative than lead climbing. It is so complex and unique that you never find the same move again and you have to adapt very fast to different circumstances. Games and team sports are more popular in India than individual pursuits like athletics or track and field. How popular is climbing in Austria? What brought you to climbing and did you have all required infrastructure to grow in the sport, available locally? Climbing was not at all popular when I started. Nobody in my high-school class knew what it was. But that is exactly why I liked it so much from the beginning: It is not a mainstream sport and I always liked being outside. Climbing has become a way of life for me. Innsbruck has just opened a huge gym- so nowadays the infrastructure is perfect. Back in the days we may not have had the best infrastructure but we had the best team spirit and that is why we (Kilian, David, Jakob*, myself) were so successful. The perception in India is that without good climbing infrastructure here, we cannot hope to excel in the sport. For example: every year new types of holds and features are introduced overseas, which Indian climbers get to see for the first time only when they are at an international competition. 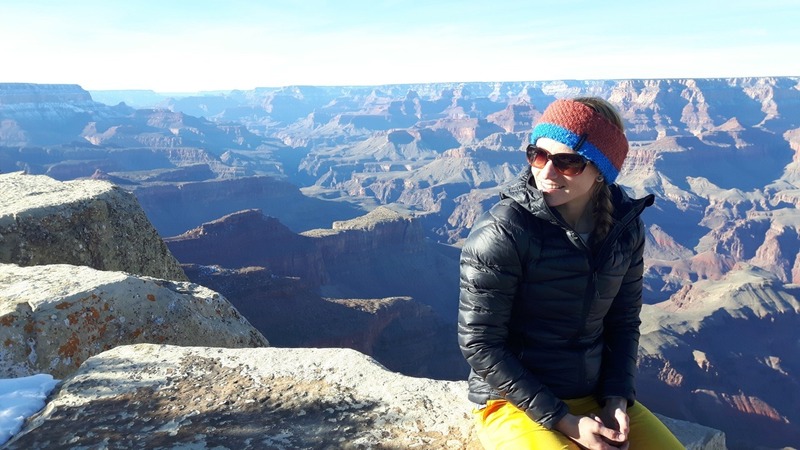 How do you address challenges like lack of familiarity with the latest trends in climbing infrastructure? If as you said, lack of world class infrastructure couldn’t keep you down, can you explain how you and your team mates used to work around that problem? I think it is definitely an advantage if you have good infrastructure. But it is not the only factor that matters. We worked around the lack of infrastructure by buying holds overseas. When we were at competitions in Japan or the USA, we always bought holds and brought them back to our gym. Even if big volumes were not possible due to the size of the wall, we brought holds and tried to adapt. We also made up for any inadequacy in infrastructure by having a big and very motivated climbing community, who pushed each other a lot. If you were to be a talent scout looking for promising climbers who can be groomed for international competitions, what qualities would you look for in a prospective candidate? I think you can see a promising climber by the way he / she moves. There are differences in technique that can be seen from the outside, but of course there is a long way to go. You have been winner of international climbing competitions and championships several times. Can you give us an idea of the level of commitment and dedication to the sport it took to reach you to the level of excellence you possess in climbing? When did you shift to being a full time climber, how many hours of training did you put in on a daily basis? I have always been very dedicated. But I did not limit myself too much doing so because in order to be successful I need to be happy as well. I am not happy if I cannot see my friends because I am training too much or if I do not eat chocolate (for example). I became a full-time climber only one year ago, when I finally finished my university degree. I train five times a week, three hours per session if I climb inside. If I climb outside I climb all day. You have had a fairly long and distinguished career in the sport, including in competition climbing. How did you sustain your enthusiasm for the format; how did you tackle injuries? When you did not perform well, what did you do? For the past few years I have had problems with my fingers. That is why I am not doing the whole bouldering World Cup circuit anymore. It is too risky and I would not have enough time to climb outside. Nevertheless I am still competing because I actually like it a lot and I think it is fun! When I did not perform well I was upset at first, but then remembered why I was there in the first place. Competing is about joy – trying to solve a problem and being able to succeed eventually. You won’t be able to try and climb on world cup style boulders set by professionals every day. So it is better to enjoy the process. Given you have spent so many years in the competition climbing circuit, would you care to name some of the strongest climbers you have been up against? Are there any names in particular that you choose to remember because you learnt something from them? I think we can learn from so many people. They do not have to be the best. I really enjoy learning from people who climb well; people having great technique, coordination and a dynamic style of climbing. I have been able to compete with so many talented women, who inspire me; be it Akiyo Noguchi’s never-ending motivation, Miho Nonaka’s great style, Olga Bibik’s dedication, Jule Wurm’s pure joy, Melissa LeNevé’s ability to not let go or Shauna Coxsey’s flawless performance. As climber on stage how do you handle the competition around you? From what do you draw the energy to perform and compete? I think as a climber you compete against the wall. You have to climb well in order to place well and not look at other athletes’ performances. Which has been your finest moment on the competition climbing circuit so far? Which was your real low point? Finest moment was winning the European Championship title in 2013 alongside my partner Kilian Fischhuber. My real low was getting injured before the World Championship in Munich in 2014 and not being able to compete. Which has been the toughest title you won and why? My toughest title is yet to be won. Are you happy with the format of climbing chosen for the Olympics, wherein the best athletes across all three disciplines of the sport get medals? What is the format you personally prefer? No not at all. I don’t think the combined format is a good idea. I personally prefer to have three gold medals, one for each discipline. 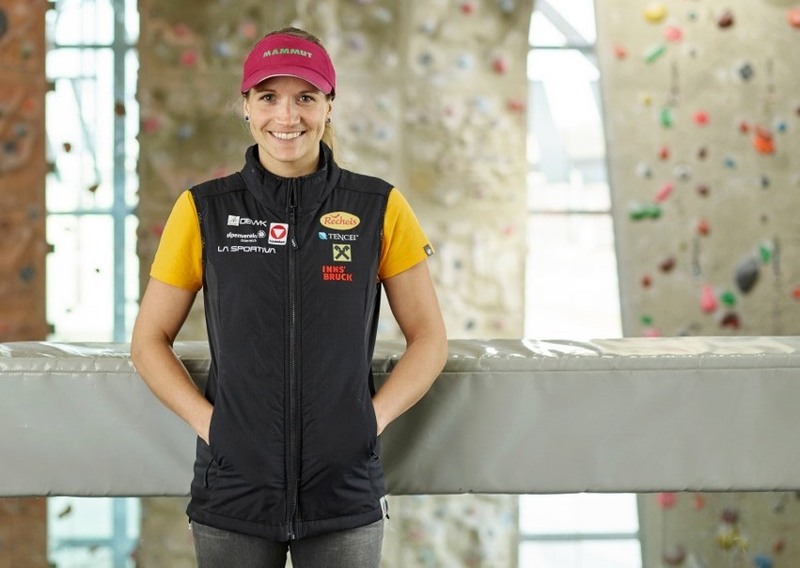 Given you still participate in climbing competitions do you look forward to being part of an Austrian Olympic squad in the year climbing makes its debut at the Olympics? Do you plan to try and qualify for the Austrian Olympic team when the time arrives? I will definitely not compete at the Olympics. In your eyes is it important that sport climbing be included in the Olympics? Or, is the sport doing well the way it is? I think for some federations and athletes it is very important. Public funding sometimes depends on being an Olympic sport. I think I was very fortunate that I was able to compete in the Austrian team, because our federation is doing well and was always able to support their athletes. Would you like to channelize your experience in competition climbing to be a coach for youngsters aspiring to compete? Yes I would definitely like to work with youth at some point. I find it very inspiring to see the younger generation. Away from competitions, you have done tough climbs on natural rock. Going ahead how do you plan to grow this side of your life? I always enjoyed climbing outside, be it bouldering or sport climbing. One day I will stop competing but I will always climb on rock! Do you have any plans to visit India for climbing? *Jakob Schubert was part of the Austrian team, which participated in the 2017 IFSC World Cup in Bouldering held in Navi Mumbai, India.